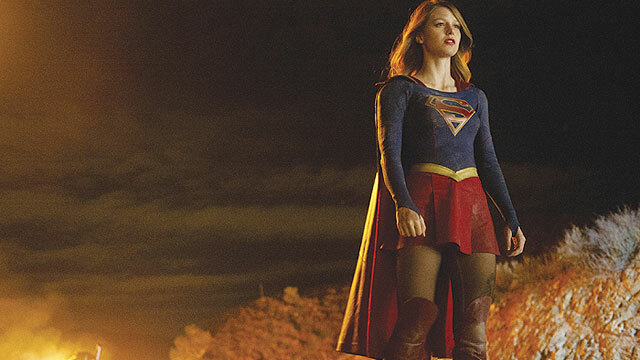 Now it’s moving to the august confines of the Viacom flagship CBS as well with the long-awaited fall debut of “Supergirl” (CBS, 8:30 p.m.). Relative newcomer Melissa Benoist, 27, of Colorado was cast as Kara Zor-El, cousin of the more famous Earthly person from the planet Krypton almost exactly a year ago. “I auditioned the day after Halloween last year, and it was a Saturday morning,” she told reporters at the TV Critics Association summer press tour. It helps that the new series is from the same team that made “The Flash” and “Arrow” successful on the sister station. And those producers said they liked what they saw in Benoist right away. “He said that?” Benoist said. Benoist says she was no comic book nerd when she was growing up. Nor was she particularly good at sports or other physical activities, she says. It helped when she was called to fly. And that’s what will win people over in the first episode, Kreisberg says — “just seeing the unfettered joy on her face as she’s flying around and as she’s reveling in this power, in this freedom. This entry was posted in Summer TV Press Tour 2015, What's On TV. Bookmark the permalink. Both comments and trackbacks are currently closed.